Franklin County Children Services works to prevent child abuse and neglect by advocating for the safety, permanency and well-being of children. In 2018, the agency received over 33,000 referrals to its child abuse hotline. While Children Services is mandated by federal and state law to ensure that children in the community are safe, the agency depends on help from the public to protect children by reporting abuse. There are various types of child maltreatment that include physical abuse, neglect, sexual abuse, and emotional abuse. According to The Center for Family Safety and Healing, indicators of abuse can include, but are not limited to, the following signs: unexplained injuries, changes in behavior, fear of going home, changes in eating and sleeping habits, changes in school performance, lack of personal care, risk-taking or inappropriate sexual behaviors. Signs of neglect may include frequent absences from school, theft of food or money, a lack of medical or dental care, dirty clothing or severe body odor, or a lack of clothing suitable for weather. Click here to read Guidelines: What You Need to Know about Child Abuse and Neglect. Call (614) 229-7000 to report suspected abuse or neglect in Franklin County. During Child Abuse Prevention Month, FCCS is partnering with the Ohio Children’s Trust Fund (OCTF) and the Center for Family Safety and Healing to promote child abuse prevention. 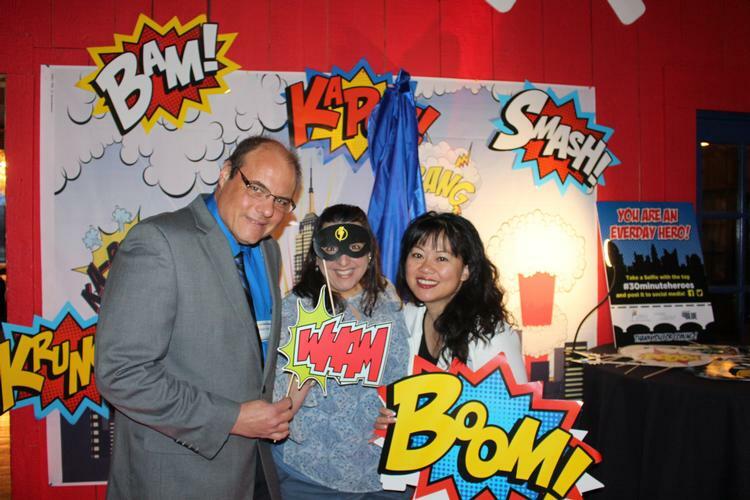 Click here to learn how you can be a hero in the eyes of a child. FCCS and its Citizens Advisory Committee are also holding the annual Child Abuse Prevention Breakfast on April 10 at the Boat House at Confluence Park. April 10 is Wear Blue Day in Ohio and public children services agencies are asking you to wear blue in support of children abuse prevention. FCCS will feature some of your photos on our Facebook and Twitter pages. Send them via email to FCCSOutreach@fccs.us. The best authorities on the experiences and needs of children who are involved with children services agencies are the youth themselves. That's why the State of Ohio created the Overcoming Hurdles in Ohio Youth Advisory Board with local chapters at child welfare agencies. Franklin County Children Services’ Youth Advisory Board (YAB) – Youth for Change is giving young adults currently or previously involved with the agency a chance to speak out about issues that impact them and participate in improving their quality of life while being involved with the agency, as well as within the community. 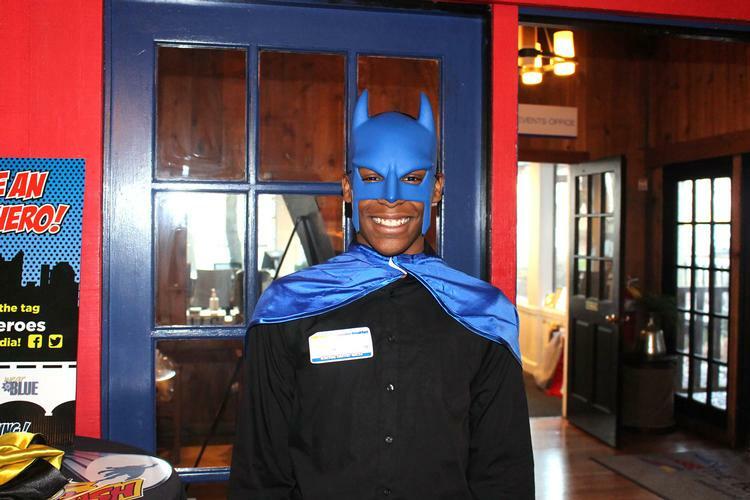 According to Adoptions Caseworker Deric Cobb, who serves as one of the YAB adult supporters, it goes beyond that. “This is an opportunity for the young adults to learn how to make decisions; become leaders; meet with officials on a local, state and national level; vent about their experiences and improve care for the youth who will follow them,” he said. Ranging in age from 14 to 24, there are currently five members of Youth for Change who were recently elected to offices: President Talia Homes, Vice President Denzel Albert-Warren, Treasurer Isaac Henn and Secretary Jazmin Blair. Additional members are being recruited with the goal of having a board of 8 to 12. While the young adults are expected to run the program themselves, they have several adult supporters including Cobb, Youth Transition Services Supervisors Donta Greene and Regina Douglas, Child Welfare Casework Supervisor Asia Davis and College-Bound Mentoring Program Coordinator Chuck Cochran who are there to advise them. 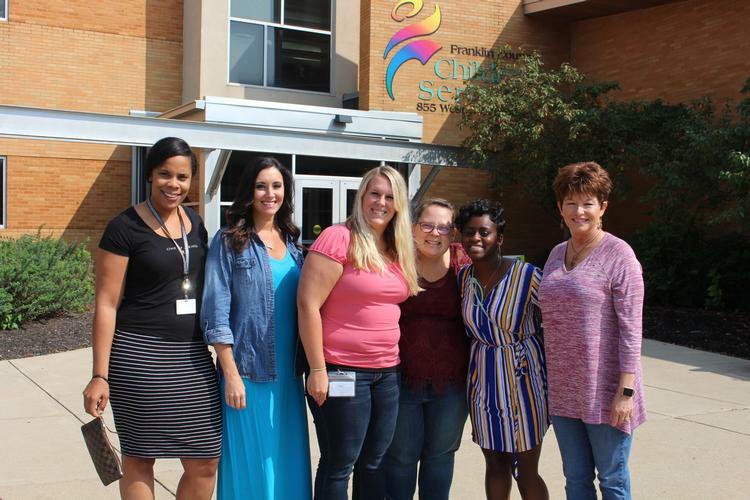 Whether it’s a mentor committed to enriching the life of a child in need or a caseworker who strives tirelessly to help a family facing overwhelming challenges, Franklin County Children Services staff are busy making a difference. Bettering the lives of Franklin County's children and families is what we do every day in partnership with the community. Read more about our mission to make a difference in the 2018 Report to the Community. 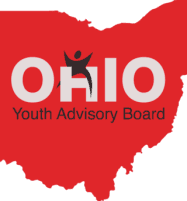 As its motto “building brighter futures” suggests, the Bridges program, which is administered by the Ohio Department of Job and Family Services, offers supportive services to youth aging out of foster care to guide them toward healthy, stable and productive lives. Being on your own isn’t easy and it’s especially difficult for youth who have spent their adolescence in foster care. They lack the emotional and financial supports that those who have close family ties receive. According to the National Foster Youth Institute, 20% of youth who leave foster care instantly become homeless; only half will have gainful employment by the age of 24; and less than 3% will earn a college degree during their lives. In light of these dire statistics, Bridges was enacted to extend housing and case management services to youth who leave foster care between the ages of 18 and 21. Bridges provides wrap-around services with representatives regularly meeting with youth to assess needs, develop goals and monitor progress. As housing is a major concern, a priority for Bridges is locating safe, affordable homes for youth and helping pay for expenses. The program helps youth search for employment via the OhioMeansJobs.com webpage and links them with a service that provides clothing for interviews. Another focus is helping youth maintain their health and well-being by obtaining health insurance and finding doctors. Recognizing that education is essential to attaining stability and success, Bridges assists youth in locating financial aid through a variety of sources, including the federally funded Educational and Training Voucher program. They also offer guidance in finding schools and training programs, as well as applying for the GED. While FCCS youth transition services (YTS) staff regularly makes referrals to the Bridges Program, youth can also apply on their own. Since 2018, 157 youth who emancipated from Franklin County custody have been referred to the program. “It’s a great program,” says YTS Supervisor Donta Greene. “Even if youth decide after leaving care that they don’t need services right away, they can still get support at a later time until they’re 21. You can’t beat it.” For more information on Bridges visit bridgestosuccess.jfs.ohio.gov. Children Services is holding an open house recruiting event on Saturday, April 6 from 11 a.m. to 1 p.m. at 855 West Mound Street. FCCS is recruiting for legal aides, clerical support, data entry specialists, information technology positions and child welfare caseworkers. There will be on the spot interviews with hiring managers. Visit the FCCS website for a list of job openings and descriptions. Click here to download a copy of a job application. Print it and bring it along with a resume and a valid Ohio driver's license to the event. April is a time to raise awareness about child abuse prevention. If you suspect a child is being abused, call Franklin County Children Services' 24-Hour Child Abuse Hotline at (614) 229-7000. FCCS will participate in the statewide Wear Blue Day campaign to support the prevention of child abuse. Wear blue on April 10, take a photo of yourself or your group and email it to fccsoutreach@fccs.us and you may see your photo featured on the agency's Facebook or Twitter pages. The FCCS volunteer department will honor volunteers and mentors for all that they do for FCCS children. Click here to learn how to become a volunteer with FCCS.